The fund bought Deepwater Plaza in Woy Woy from tycoon Jerry Schwartz for $98.5 million and Sturt Mall in Wagga Wagga from LGS for $61.2 million. “Retail investment activity has picked up significantly in the second quarter of this year. The sale of Deepwater Plaza and Sturt Mall in NSW promptly follows the sale of Riverside Plaza, Queanbeyan NSW, and Golden Grove in South Australia for AUD 129.1 million,” said JLL’s Head of Retail Investments Australia, Simon Rooney who negotiated the sales to DWPF. According to Rooney, last year was a record year for the sub-regional market with $1.9 billion transacting across 2013. This sub-regional trend will continue to dominate the retail investment market throughout the remainder of 2014 and could see activity reaching the record levels achieved last year. Mr Rooney said investors are targeting sub-regional centres for the attractive yields available, to capture income and value growth over the medium term and in order to grow their exposure in the retail sector. “Greater competition for sub-regional assets between unlisted and listed groups is driving yield compression for quality assets. We expect further compression over the next 18 months as strong capital flows continue,” said Mr Rooney. The spread between the average regional yield of 6.07 per cent and sub-regional yield of 7.54 per cent, which has been at 11-year highs, is now beginning to narrow. “Investors are seeking to capitalise on a narrowing of this abnormally wide yield spread, particularly those that can further enhance returns with capital expenditure and active management,” said Mr Rooney. Deepwater Plaza is an 18,200 square metre sub-regional shopping centre located in the heart of Woy Woy’s town centre, occupying a prominent position opposite one of the busiest railway stations in regional New South Wales. The centre holds a dominant trading position that services a main trade area with a population of 62,500 and retail spending in the area is forecast to grow by an average 4.0 per cent per annum to 2026. 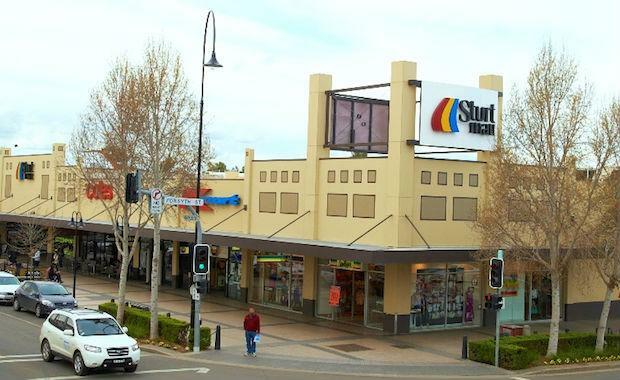 Sturt Mall is a 15,250 square metre sub-regional shopping centre located in the south of Wagga Wagga’s CBD with development approval for approximately 6,000 square metres of additional Gross Lettable Area. The redevelopment will enhance the Fund’s existing overall $700 million development pipeline.